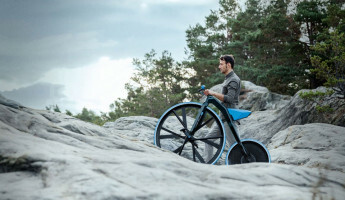 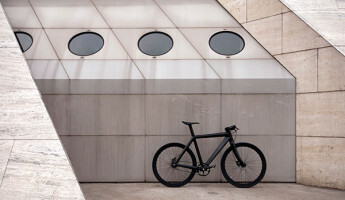 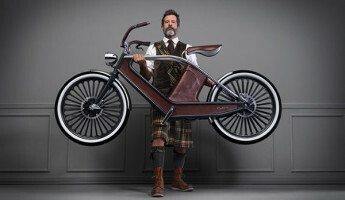 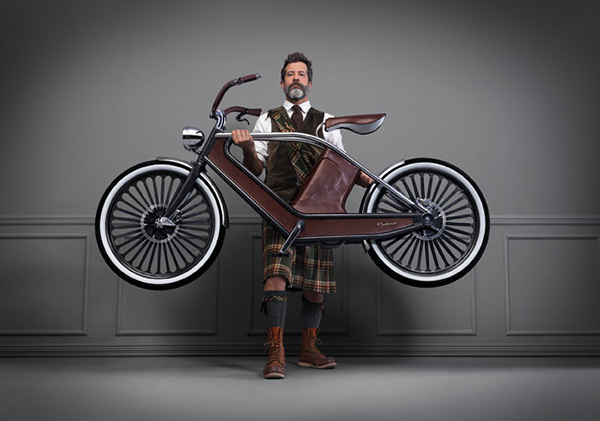 A new Italian-made eBike has arrived just in time for Milan design week, the Cykno Electric Bicycle. 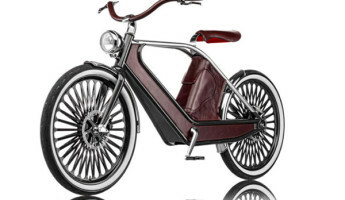 This vintage-inspired, electric-enhanced eBike provides pedal assist power for long rides with an increased pace. 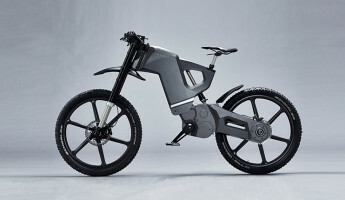 Hills, wind and rough terrain are no match for the Cykno, as the internal battery and motor system even out the creases for a smooth, pleasurable ride. 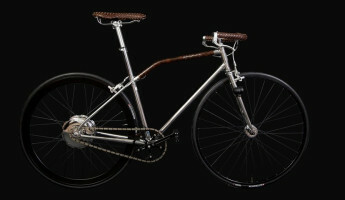 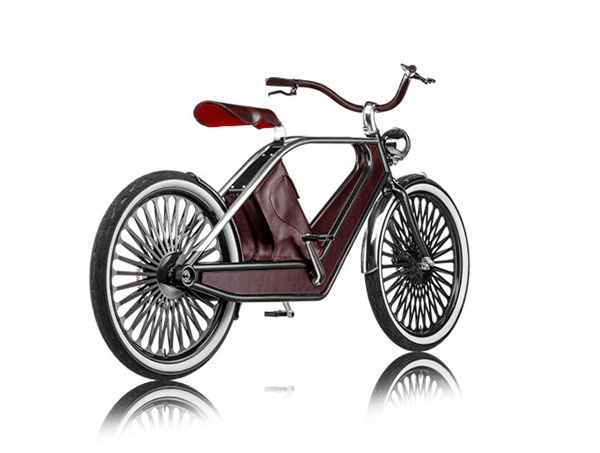 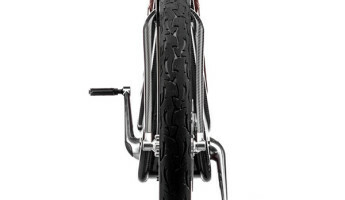 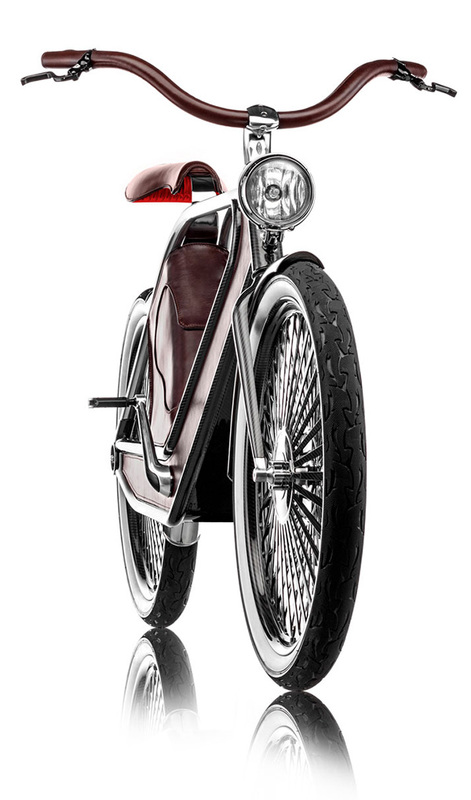 The design of the Cykno eBike is vintage in spirit, recalling the bicycle designs of the early-to-mid 20th century. 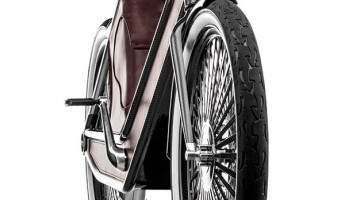 Carbon fiber and fine leather are used liberally in this design, while classy bits of character are added in the unusual seat design, old-world headlight and radial spoke wheels. 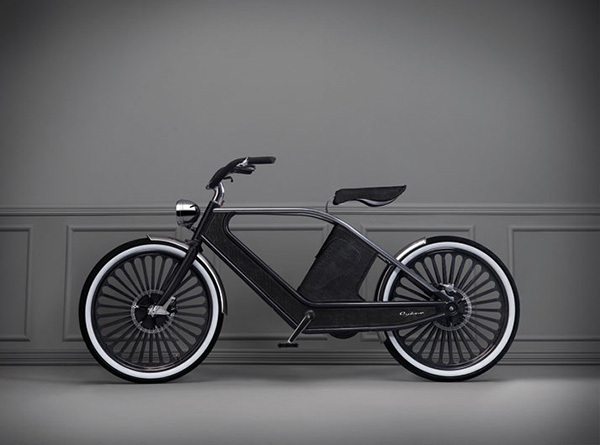 Inside the frame, a 250 watt or 500 watt battery provides 60km of pedal-assist cruising on a single charge. 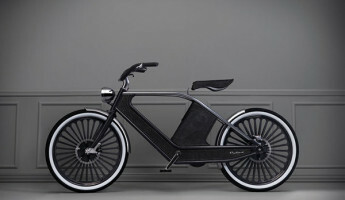 While resting, the Cykno can recharge in 4 hours on a standard plug, ready to ride again at the end of the work day or the following morning.